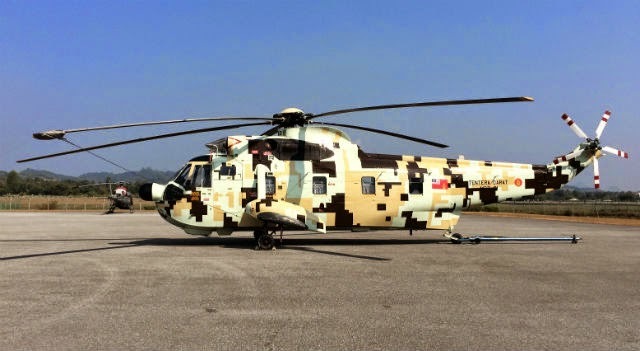 The Royal Malaysian Air Force has formally handed over an initial two of its Sikorsky S-61 “Nuri” transport helicopters to the nation’s army, with the pair having received special “digital” colour schemes. 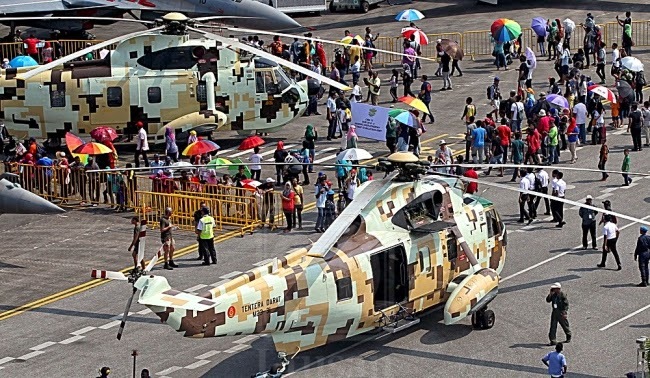 Both displayed at the Langkawi International Maritime and Aerospace exhibition earlier this month, aircraft M23-01 (below) and M23-31 are the lead examples of an eventual 12 of the rotorcraft to be transferred to the army. Flightglobal’s Ascend Fleets database records the pair as having been built in 1967 and 1978. Now set for use by the army’s 881 Sqn from Johor, the Nuris were flown in to the show from an Airod facility and Kuching air base, respectively. Ascend shows that the air force had 31 S-61s in active use prior to the transfer. Malaysia has already performed a cockpit upgrade on some of the aged airframes, and is evaluating a more comprehensive modernisation effort, which would extend their use and also improve the type’s operating safety.